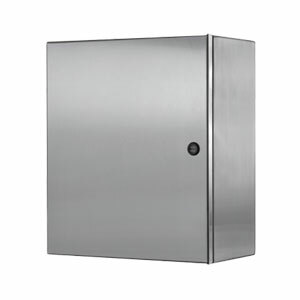 The SEC-ELJSS Series electrical enclosures are designed to house electrical controls, instruments and components in areas, which may be regularly hosed down or are in very wet or oily conditions. These electrical enclosures provide protection from dust, dirt, oil, and water. For outdoor application a drip shield is recommended.